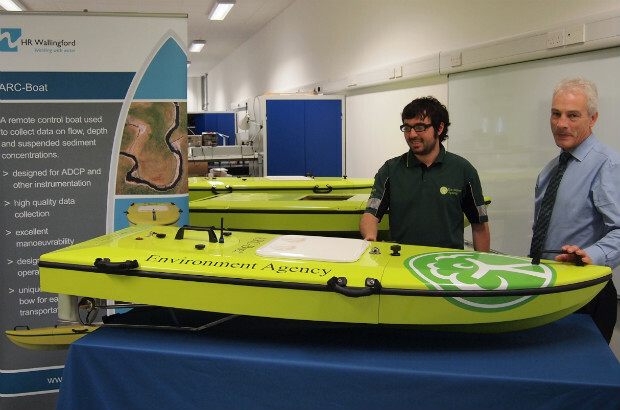 Given the chance, wouldn’t your job be better if you could do it using a remote controlled boat? It was this thought that led us to develop a high-tech river survey boat, known as the acoustic remote controlled boat or ‘ARC-Boat’. The ARC-Boat’s primary role is to help us safely and speedily collect information about how much water is flowing in rivers. It uses ultrasound pulses - similar to those used to scan pregnant women - to collect important data from the river. It has proved such a success that we’ve just taken delivery of our 50th boat. We developed the ARC-Boat in partnership with the internationally-renowned water research centre, HR Wallingford. We now use the boat across all areas of the Environment Agency. And it’s even won sales from as far afield as Canada and New Zealand. By retaining ownership of the boat’s design, the Environment Agency actually earns a small amount in income from the sale of each boat to overseas customers. But is the boat really better than more traditional techniques? Well, consider this: during the serious flooding of January 2014, just 2 people using an ARC-Boat collected 5 times as much information about flows on the River Thames as a team of 5 people used to collect. The boats are really nimble and allow us to reach places we wouldn’t be able to get to otherwise, for example under bridges or in fast flowing rivers. 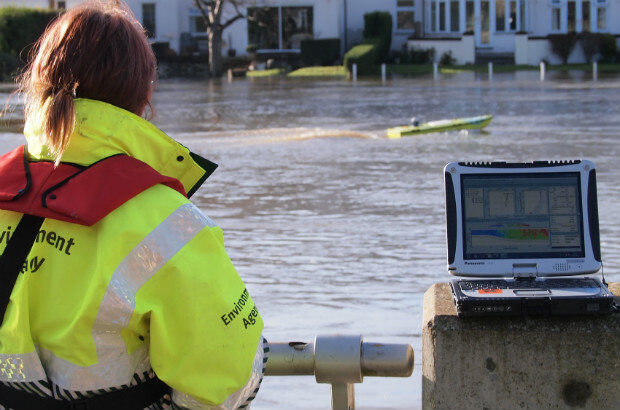 Furthermore, last winter we used ARC-Boats to stream flood flow information live to the operators on the riverbank, which meant they could update Environment Agency incident rooms immediately. Our incident rooms then sent teams to put up temporary defences in the areas most at risk. The technology is just as valuable to us in times of drought, as the sensor installed on the ARC-Boat allows us to measure even the slowest of river flows. This helps us to balance the demands of the environment against the need to ensure there’s enough safe water for public drinking water supplies. As the boat is small and manoeuvrable, it is very versatile and we can use it in all sorts of unusual situations. A great example was in December 2013, when a record-breaking tidal surge hit the east coast of England. Although flood defences did a fantastic job of protecting thousands of homes and businesses, one flood defence at Seal Sands in north-east England was breached, allowing water to flood surrounding areas. Quick thinking from the local hydrometry team meant that they used an underwater sensor on an ARC-Boat to map the damage, helping to plan a swift and effective repair. Nick Everard is a hydro-acoustics technical adviser in the Environment Agency’s Monitoring Technical Services team. We've been testing our sirens!